The Berkeley Institute said they are pleased to congratulate eleven S2 students who sat the IGCSE exam in English Language in November 2015. These students experienced some exposure to the IGCSE curriculum during M3 with tutorials for the exams at The Berkeley Institute. Upon entry into The Berkeley Institute, they completed the programme in an accelerated class in approximately one year. They tested in November, six months earlier than their peers, with 100% of this class scoring A*-C [A*= 3; A=5; B=2; C=1.]. 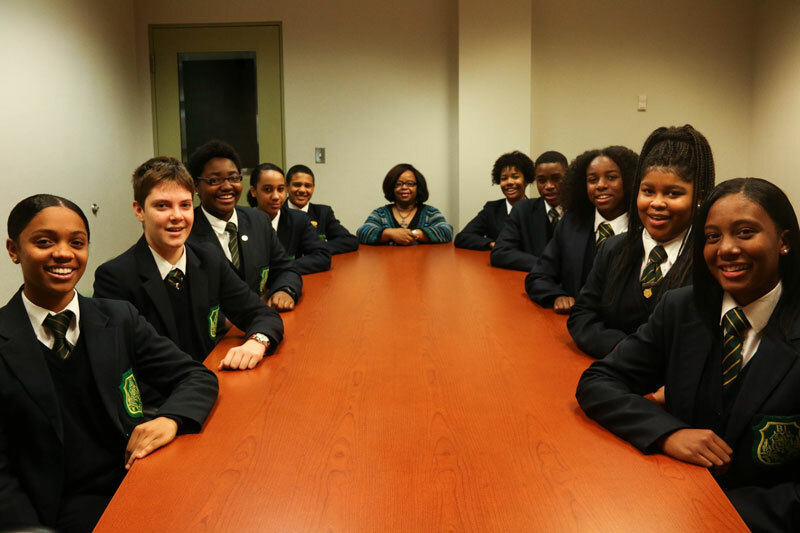 Seated from left to right: Cree Coddington, George Frost, Candace Paynter, Gia Brooks, Zakhari Minors, Mrs. Sandra Burrows, Zya Fraser, Khaleel Dailey, Zahra Wilson, Judea Tucker, and Kaila Harvey. Not included is Kenya Dottin. Dr. Curtis-Tweed, the Principal of The Berkeley Institute stated, “I am so proud of the accomplishments of these students and their teacher, Mrs. Sandra Burrows. “Mrs. Burrows is an excellent and dedicated teacher who understands the importance of rigour in the curriculum and in preparation. These results speak to the importance of exposure to the IGCSE curriculum in Middle School.